Versatile, fits in most office rooms ( even small ones) and works without having to suspend anything from ceiling or walls. 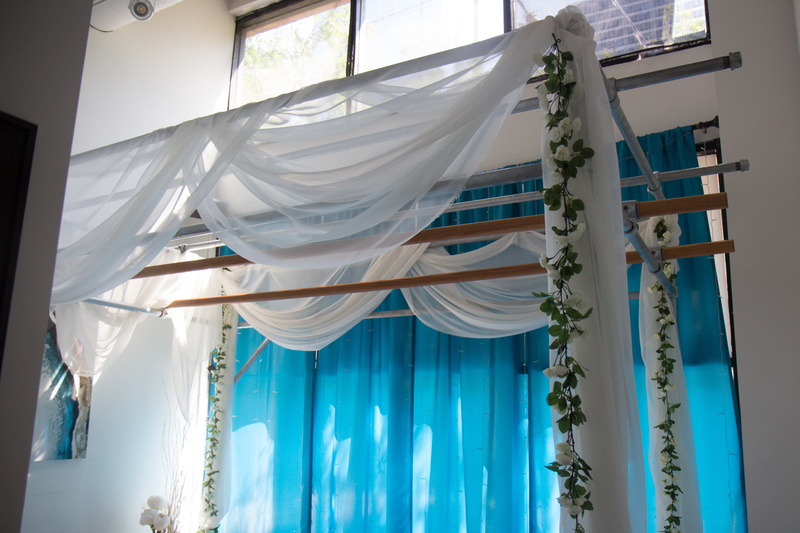 This is the ultimate stand alone system, allowing you to add Ashiatsu to your modality list without having to dedicate a special room just for ashiatsu. You can perform all of your standard massage modalities without having to take anything apart. 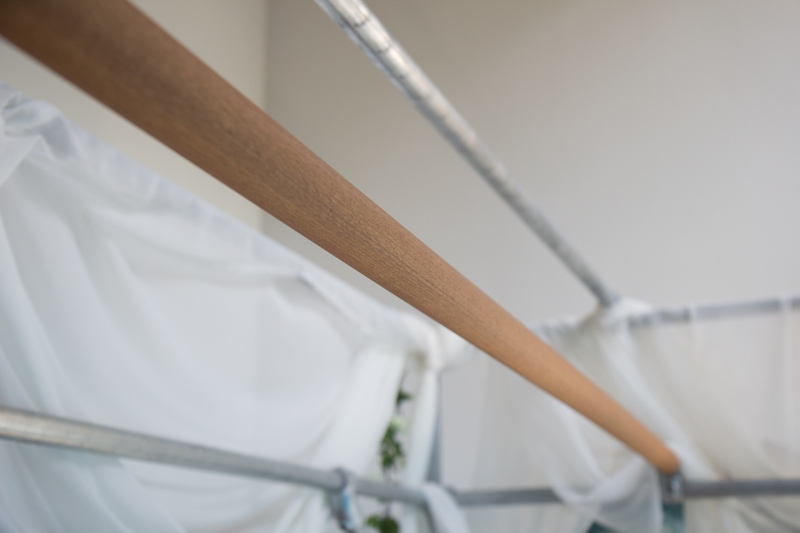 The height is adjustable, and as an added bonus the side support bars, both middle and top can be used as support while performing an ashiatsu session. you’ll really like the 2 inch solid oak bars that are the centerpiece. They are not only beautiful but they are very strong and feel good in the hands. As an added Bonus, this system can go with you when you leave your current office. Just dissassemble and take it with you. Designed by a practicing massage therapist for Ahiatsu, this rigging will solve many problems with initially getting set up for this modality. To the Left is a just installed cage, in a therapy room with an office type drop ceiling. This is one of the most challenging applications for a massage Therapist wanting to offer Ashiatsu. You’ll notice the ability to use the bars in a DIFFERENT way, using your arms over the bars to support your weight. This gives you stability , control and the ability to modulate your weight in a way that is much less upper arm intensive. Merely adjusting the height of the bars and/or height of the table allows you to use the bars in the traditional fashion. 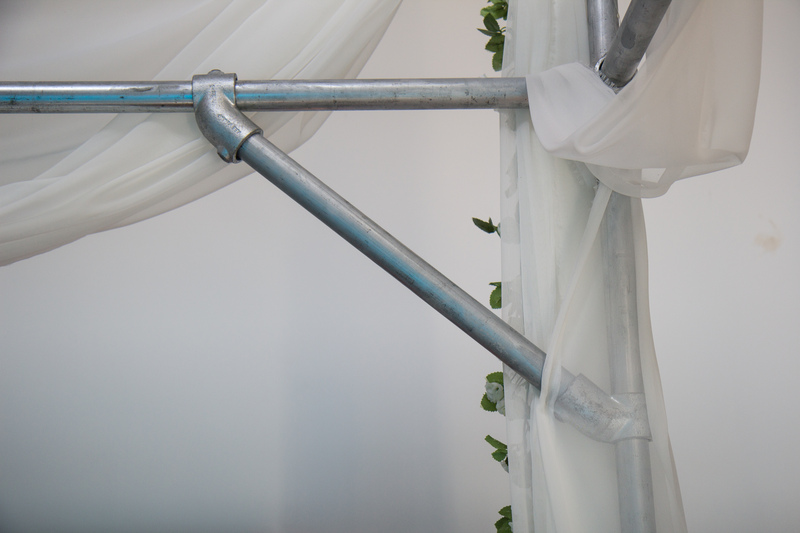 The other features are the ability to use the two upper metal support bars AND the side support bars to give you added range of movement and extra support for positioning body weight. 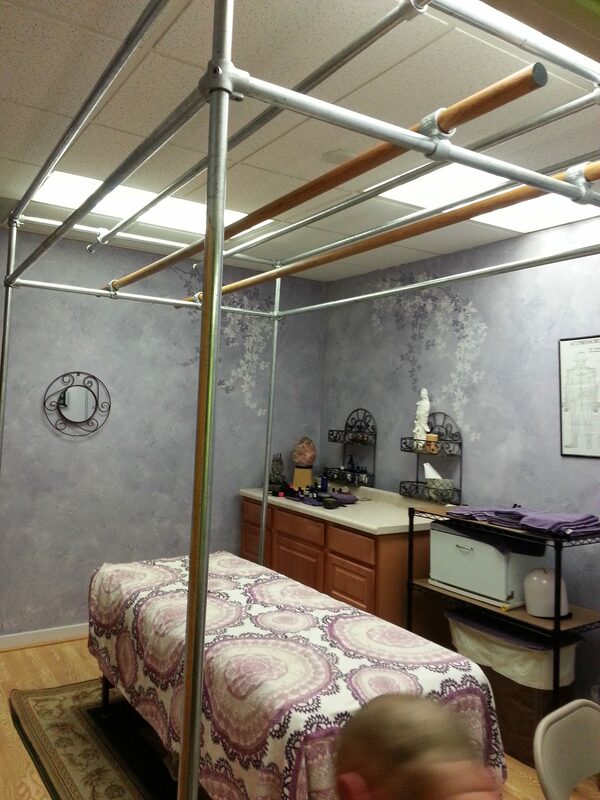 Are you Interested in owning one of these Ashiatsu Cages? contact us for more information at 630 863 4712! For Pickup only at this time, delivery and installation within 100 miles of Chicago IL is available for an added fee .